What is of more concern however is that a boycott should never have been entertained by the Council in the first place - given the nature of the campaign as articulated by its originators. Supporting law-breakers who continue to willfully ignore the law should certainly not be countenanced. 3. With the exception of the Golan Heights - none of the land occupied by Israel in the 1967 War can be designated as “Arab lands” - since sovereignty in such lands remains undetermined. 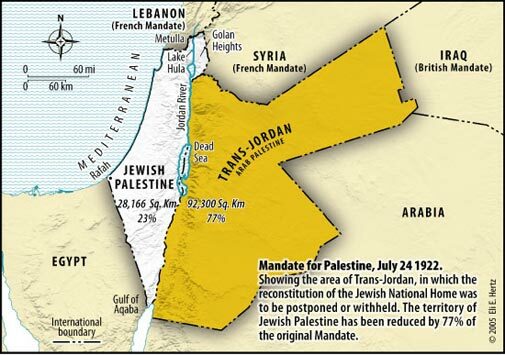 Jordan’s attempt to annex the West Bank and East Jerusalem in 1950 was only recognized by Great Britain and Pakistan. Jordan relinquished whatever claims it had in 1988. These lands are presently “no man’s land” over which both Israel and the Palestinian Authority (PA) are making sovereign claims that can only be resolved in direct face to face negotiations - which have now stalled because the PA refuses to resume such negotiations with Israel. Supporting the boycott encourages the continuation of this negotiating gridlock and is contrary to what the international community is demanding. 4. Calling for Jews to stop settling in the West Bank and East Jerusalem - (termed “colonization” under the manifesto) contravenes article 6 of the Mandate for Palestine and article 80 of the United Nations Charter. Seeking to exclude anyone but Palestinians from living in the West Bank and East Jerusalem is racist, discriminatory and constitutes apartheid - and brands those who support a boycott on this ground as supporters of such an outrageous and offensive policy. 5. Israel has already made it clear that the Wall - where built on “no-man’s land” - will be dismantled when secure and recognized borders between Israel and a Palestinian State are established in accordance with UN Security Council Resolution 242. Boycotting Israel for not demolishing the wall whilst these legal requirements remain unresolved - yet again indicates support for those who have scant regard for international law. 6. Full equality for Arab-Palestinian citizens in Israel already exists. Those being asked to boycott Israel should seek clarification as to what fundamental rights are being denied to Arabs in Israel that are enjoyed by Arab residents in the West Bank and Gaza. 7. UN General Assembly Resolution 194 has never been binding on Israel. Professor Julius Stone states in his book “Israel and Palestine - Assault on the Law of Nations"
Then of course there is the hypocrisy inherent in seeking to selectively decide what to boycott - such as cosmetics, foodstuffs, sweets, supermarket shelves and other soft targets - but not life-saving cures, medical breakthroughs, high-tech components used in IT systems, water technologies and electric cars. The boycott was initiated in 2005 on the basis of a manifesto that was both false and misleading. Those silly enough to be drawn into its net without fully understanding that law-breaking and racism permeate its manifesto - only have themselves to blame for being duped and labelled naïve and foolish. Had Marrickville Council taken the time to properly understand what the Council was being exposed to - the fiasco that followed their initial decision would not have occurred. Others being similarly minded to embark on such a mindless and irrelevant journey hopefully won’t now fall into the same trap. This is a boycott full of holes that is slowly sinking to the bottom of the sea of deception that created it.